The recipients of the 2014 NOGLSTP Recognition Awards are Nergis Mavalvala – Scientist of the Year, Rickie Christine Bland – Engineer of the Year, Tim Atherton – Educator of the Year, and John Burk – Walt Westman Award. 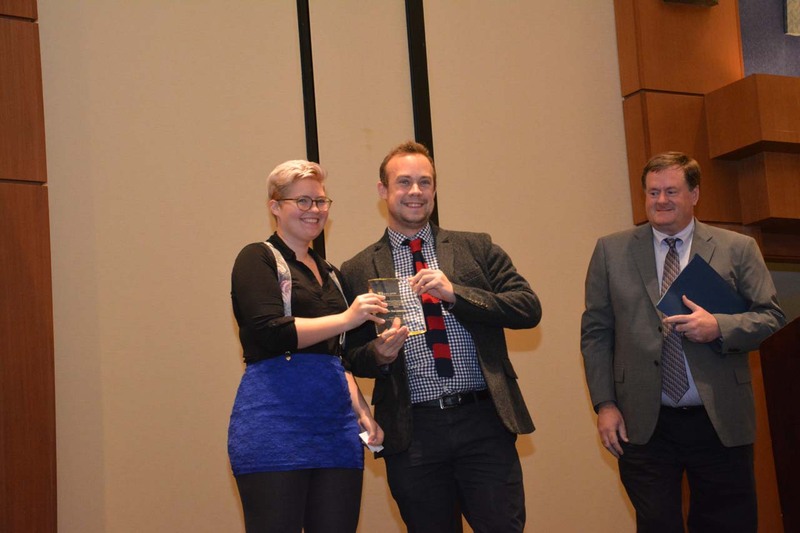 The awards were presented at the gala banquet at the Out to Innovate™ summit in November 2014, held jointly with oSTEM’s 4th National Conference. 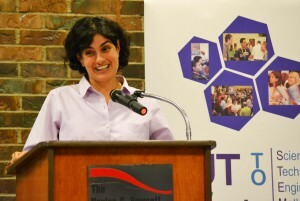 2014 NOGLSTP Scientist of the Year, Nergis Mavalvala, is a Professor of Physics at MIT. Nergis Mavalvala received her Ph.D. in Physics from MIT in 1997, and a B.A. in Physics and Astronomy from Wellesley College in 1990. She is currently the Curtis and Kathleen Marble Professor of Astrophysics at the Massachusetts Institute of Technology. Prior to coming to MIT in 2000 to join the MIT LIGO Laboratory, she was a postdoctoral scholar and research scientist at Caltech, working on the Laser interferometric Gravitational Wave Observatory (LIGO). She has been involved with LIGO since her early years in graduate school at MIT and her primary research has been in instrument development for interferometric gravitational-wave detection. 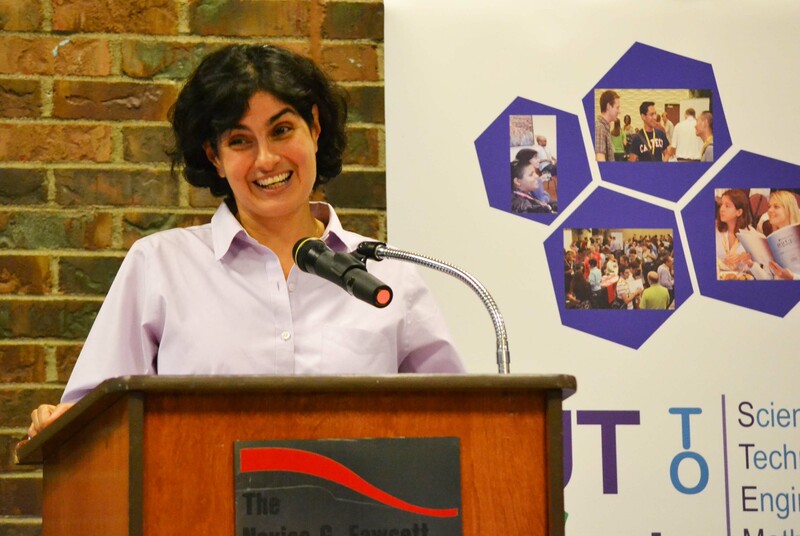 Dr. Mavalvala’s efforts in quantum metrological methods have earned her numerous accolades, including the 2013 Joseph F Keithley award for advancements in measurement science and a 2010 MacArthur Fellowship (“Genius Award”). In addition to her technical accomplishments, Dr. Mavalvala, a Pakastani born, out lesbian physicist, has a partner and young daughter. 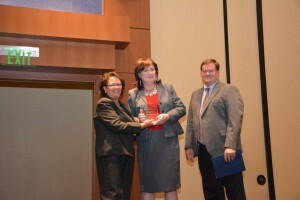 She gave the keynote speech at NOGLSTP’s 2012 Out to Innovate™ Summit. She is an inspiration for all minority scientists that proves that there are no limits to what you can do just by being yourself. 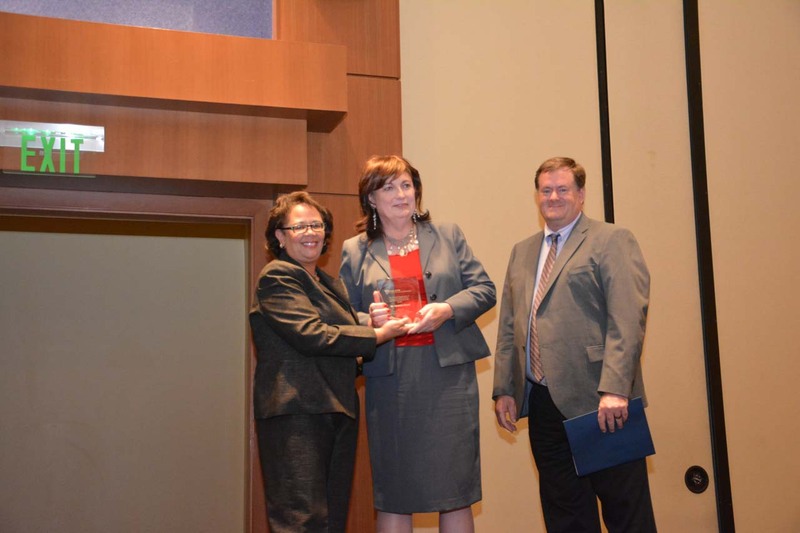 The 2014 NOGLSTP Engineer of the Year Award recipient is Rickie Christine Bland of Lockheed Martin. Christine Bland has a degree in engineering and has worked for Lockheed Martin for over 25 years. She is currently working on NASA’s Orion program to create the next generation of space vehicles to take humankind to the Moon, and ultimately into deep space. Christine worked on many projects for Lockheed Martin in the Deep Space Exploration Group, including Stardust, Spitzer Infrared Space Telescope, Genesis, Odyssey Orbiter, Mars Reconnaissance Orbiter, GRAIL, and JUNO (Jupiter Orbiter). Christine’s crowning career achievement to date is fault management electronics, originally built for the Mars Reconnaissance Orbiter and currently being used on numerous other space vehicles. Christine has also been an adjunct lecturer in the engineering department at Denver Technical College and she designed computer system process telemetry for astrophysics rockets at the University of Colorado. In 2011 Christine informed Lockheed Human Resources that she would complete the transition process to change her gender. Since that day, she has been a highly visible role model in the company, actively involved with the Lockheed Martin LGBT Forums at the corporate level. She has participated on multiple panels, including STEM (Science, Technology, Engineering, and Math) outreach at a number of universities. She is the Chair of the Lockheed Martin Transgender Council, delivering policy and procedure guidance and facilitating numerous on-the-job gender transitions, as well as co-Chair of the Leadership Forum workshop. She also served as the Vice-President for the Gender Identity Center of Colorado. Her leadership brought Lockheed Martin to become the first aerospace/defense company to recruit at transgender career fairs in Denver and other locations. The 2014 NOGLSTP Educator of the Year is Tim Atherton, an Assistant Professor of Physics at Tufts University. He completed his undergraduate degree in Theoretical Physics in 2003 at the University of Exeter in the United Kingdom, studying abroad at Central Michigan University. Tim received his Ph.D. in Physics in 2007 from the University of Exeter in the UK, where he studied frustration phenomena in liquid crystals as a member of the Electromagnetic Materials group with Professor Roy Sambles. 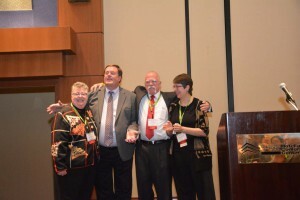 Nearly 15 years ago, John Burke pitched a great idea to the NOGLSTP Board to create a recognition awards program to identify, document, and celebrate the contributions of OUTstanding LGBTQ+ science, engineering, and technology professionals. Under John’s stewardship since 2003, the NOGLSTP Recognition Awards Program has honored scientists and engineers for their sustained contribution to their fields in design, management or research. 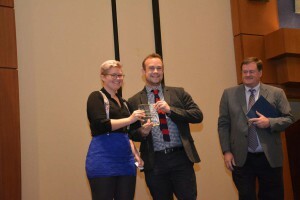 At the time of the program’s initiation, another category of recognition award was created for service to NOGLSTP. Named after one of the founders of NOGLSTP, the prestigious Walt Westman Award recognizes the unselfish and outstanding contributions of the honoree, whose activities – carried on continuously over a period of years – have brought honor and esteem to NOGLSTP. 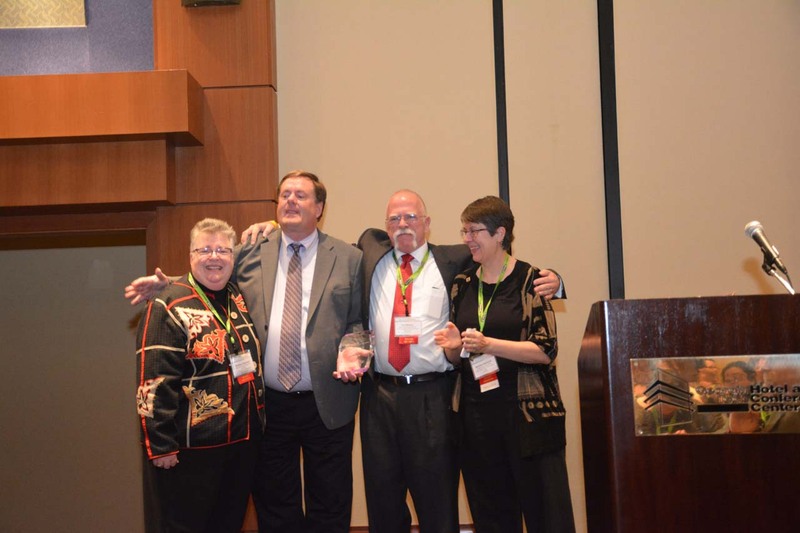 The NOGLSTP Board is pleased to announce that a very surprised John Burke was presented the 2014 Walt Westman Award at the gala awards banquet during the joint meeting of NOGLSTP’s Out to Innovate™ 2014 Summit and oSTEM’s 4th National Conference last November. Because of John’s longtime and hands-on involvement with the NOGLSTP Awards Program, it was no small feat to surprise him! John has a B.S. in Physics, and is an engineering manager at Raytheon in Texas. He has been a NOGLSTP Board Member since the year 2000. He joins Rochelle Diamond (2004), Michael Parga (2006), Chris Bannochie (2007), and Amy Ross (2012) as recipients of this rare award.